Amit Chaturvedy joined Cisco in 2014 and leads the global investment practice for Internet of Things (IoT). Prior to Cisco, Amit was at Summit Partners where he sourced and led investments in communications technology, financial services and consumer sectors in US, Europe and India. Previously, he was at Cummins Inc. where he designed software for diesel engines and led customer liaison activities for Daimler Chrysler Corporation. Amit also worked in the investment banking group at Citigroup, NY. 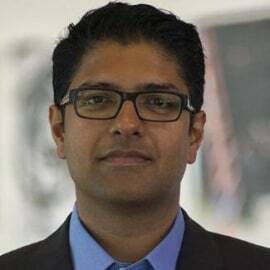 Amit received mechanical engineering degrees from Indian Institute of Technology (IIT) – Bombay and Purdue University – West Lafayette and has an MBA from Harvard Business School.